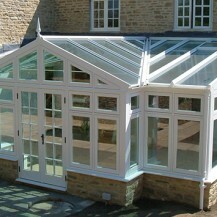 Hardwood conservatories offer a more natural and traditional appearance. The character and charm of hardwood make it a beautiful additional to any home, particularly those which boast a traditional aesthetic design. A Hardwood conservatory is a great choice if you are looking for a combination of natural beauty and and thermal qualities that can prevent heat loss. Timber is perfect for creating a bespoke conservatory design in a traditional Georgian, Edwardian and Victorian style and can be used in modern properties to add a contemporary touch. 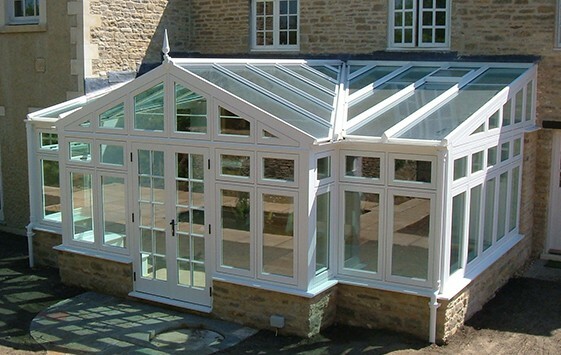 The natural beauty of timber helps enhance your chosen conservatory style. Conservatory hardwood are made from a selection of timbers such as oak, sapele and many more. While some hardwood can be relativity expensive, there are other types of timber that are much more affordable and maintain the characteristics and appeal of traditional timber materials. Some natural hardwood such as teak and oak have plenty of natural oils which means they can be left untreated. Oiling the timber can also help enhance the natural grain within the wood. This particular type of timber originates from Western Africa and when treated looks similar to Oak. Currently, Idigbo is the most common type of wood used to construct timber conservatories in the UK, due to its lightweight and durable properties as well as relatively low cost. This wood comes from the Philippines and is an inexpensive alternative to pine. Other names associated with the wood include Philippine mahogany and Luean wood. Solid Luan wood is frequently used in the construction of conservatories due to its wavy grain and coarse texture that can be sanded to a smooth finish. Brazilian cedar is an excellent low cost substitute for Mahogany. If you’re looking for a beautiful dark wood, without the expensive of mahogany, Brazilian cedar is a perfect alternative.